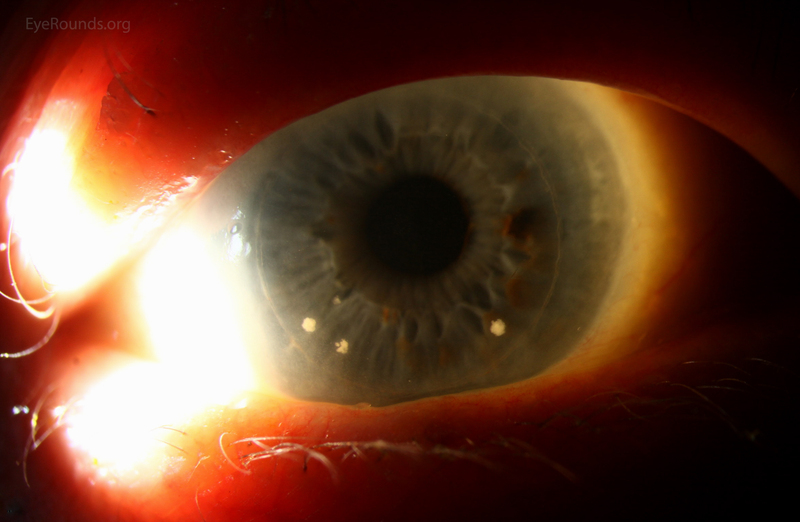 Performing routine corneal cultures on the donor corneal rim at the time of keratoplasty is controversial among corneal surgeons. 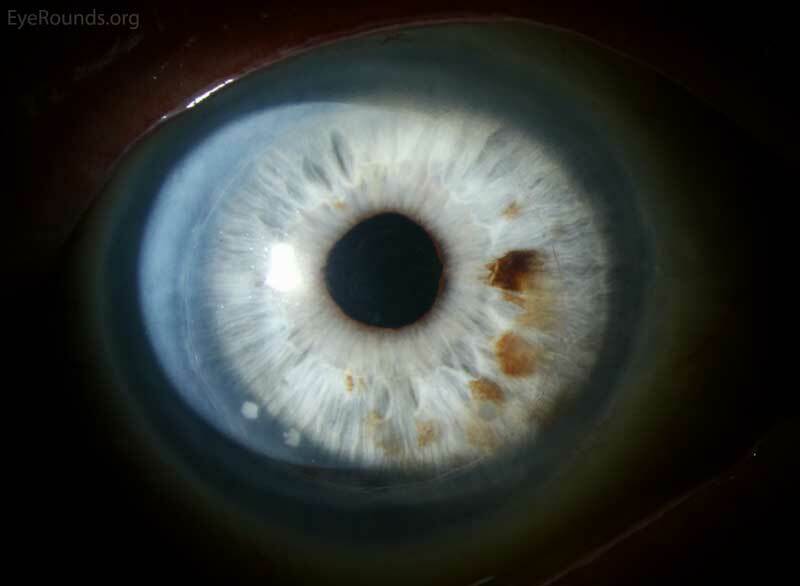 This patient underwent Descemet stripping automated endothelial keratoplasty (DSAEK) for Fuchs corneal endothelial dystrophy and cultures on the donor rim grew Candida albicans. 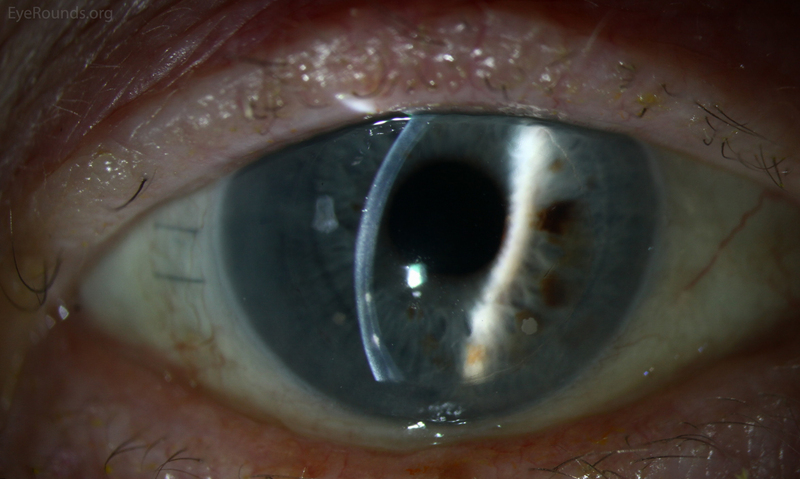 Three months after the procedure, the patient was noted to have Candida growth within the interface between the graft and host tissue despite prophylactic anti-fungal therapy. The fungus was resistant to further medical therapy and recurred after repeat DSAEK and intracameral voriconazole. 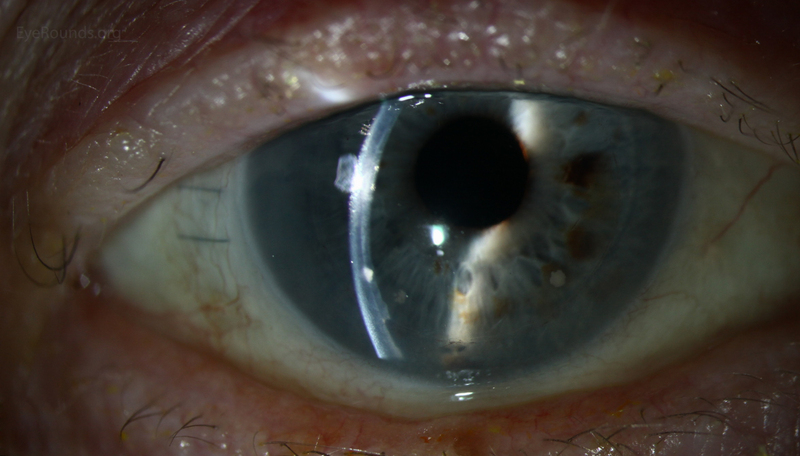 He subsequently required a penetrating keratoplasty (PKP) which successfully eradicated the infection.